Freeway Fleet Systems’s success in helping transport and bus operators make the switch from paper to digital has seen it double its business this year. The software supplier of systems for vehicle maintenance and asset management has seen an upsurge in interest for its mobile apps as operators demand more accurate and visible information to transform their fleet management and meet new digital compliance regulations. 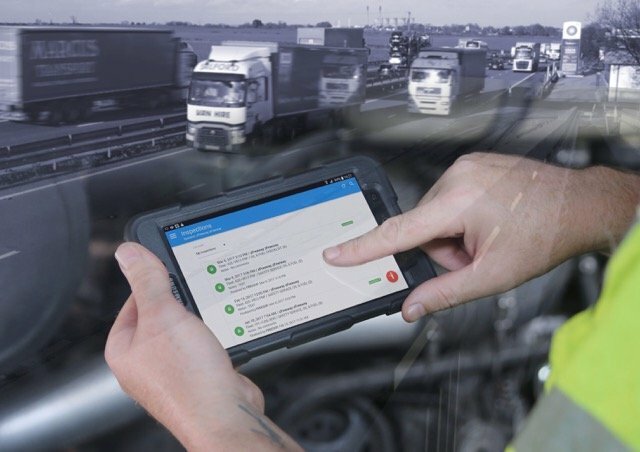 Freeway’s software platform replaces paperwork all the way from vehicle inspections to workshop job sheets, stock management and parts ordering, with mobile devices linked to a central system providing live management information. Freeway believe the introduction of the DVSA’s Earned Recognition scheme earlier this year has been an important driver in the move to digital. “Transport operators know that they need to transform their systems and switch away from paper recording, but many have been reluctant to embrace the new technology that makes the change possible. However, it is clear that 2018 marked the start of what we see as an unstoppable transformation to digital working,” stated Patrick Tandy, Managing Director of Freeway. Freeway has seen an increase in digitisation amongst existing customers including McCulla Ireland, McDowells, R Swains, Brit European, Stobart Biomass, the Bartrum Group and Gregory Distribution. New users include H Sivyer, Hayward Commercials and the McBurney Group. With Freeway, functions like procurement can be centralised, devolved or a mixture of the two, with a bespoke purchase order authorisation chain. These methods deliver an efficient and controlled purchasing process whilst allowing for a central and immediate source of comparative data that drives cost reductions as the business expands. The fully integrated suite of productivity apps replace paper records with digital capture of data for tasks such as time sheets, job-cards, stock-check sheets, vehicle inspections, and driver inspections.